Behind every successful marketing campaign, there’s a dirty secret. The case of Fisher Investments’ “Why I Hate Annuities And You Should Too” is no different. Here are six reasons why following the advice of his catchy ad campaign might be the wrong choice for you. A product with high upfront costs. The best annuities are ones that you can compare across providers, that optimize for income and not asset appreciation, have no ongoing fees and low upfront costs. Takeaway 1: Avoid complicated annuities or annuities you can’t easily compare. As you age and your desire for guaranteed income increases, simple income annuities offer the most effective way to avoid outliving your money. Ken Fisher puts your money in actively managed mutual funds, the kinds that millions of Americans are fleeing. Check out his article describing the performance of his stock picks in 2015, which lagged the indices. Takeaway 2: Simple is important. Actively-managed funds like Ken Fisher’s are the kinds that investors are fleeing for passive index funds and ETFs. 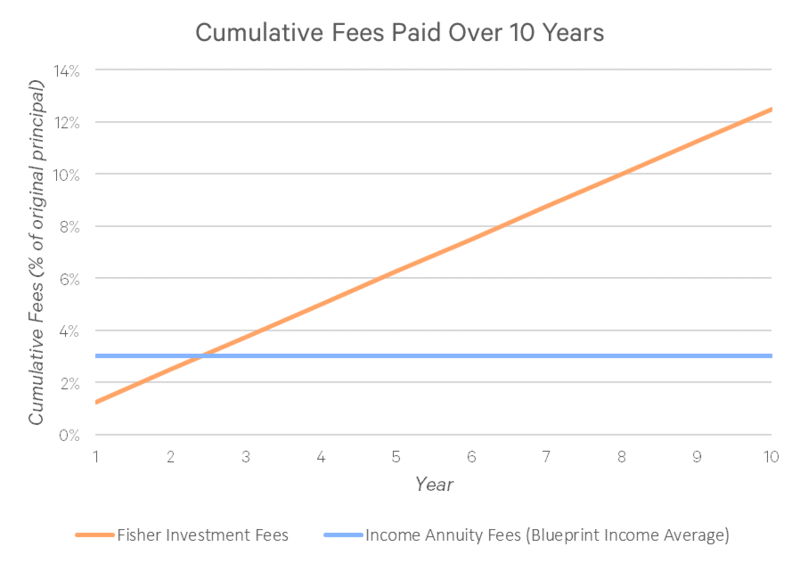 If you’re worried about fees, a simple income annuity is going to be a much lower fee than investing with Ken Fisher. Check out the graph below for some simple analysis. All I’ve done here is plotted the typical commission on an income annuity of 3% (based on the simple average of commissions of products offered on our platform) and compared it to the cumulative fees you’ll pay by investing with Ken Fisher. Fisher Investments’ fees are based on the simple average between 1% and 1.5% described in this article. You’ll notice that after less than 3 years, you’ll have paid way more to Fisher Investments and after ten years, it’s not even close. Simple income annuities charge you much less than Ken Fisher would! Takeaway 3: Income annuities will charge you lower fees than Fisher Investments. If you’re going to put your money in the market, there are much cheaper alternatives than Ken Fisher. At Vanguard, Betterment and Wealthfront, you’ll get charged a fraction of what you would get charged by Ken Fisher. In addition, these firms have very low or non-existent minimums. At Fisher Investments, the minimum is $500,000 in assets. Takeaway 4: Fees matter when investing your money and there are much more cost-effective companies than Fisher Investments. Simple lifetime income annuities have received recent backing from the federal government and well-known academics. There’s a growing chorus from many of the most well-respected journalists and policymakers that the, “All annuities are bad,” message is hurting our country’s retirement security. Recent government proposals have tried to discourage variable and fixed annuity purchases, while promoting simple income annuity purchases. Takeaway 5: Resist the urge to group all annuities in one bad bucket. There are lots of reasons to be skeptical of annuities that try to act more like investments. But there’s no alternative to an income annuity if you’re looking for a guaranteed lifetime income stream. Even Ken Fisher himself admitted the value of simple fixed annuities! Check it out here. Takeaway 6: The biggest critic of annuities knows it’s not that simple. 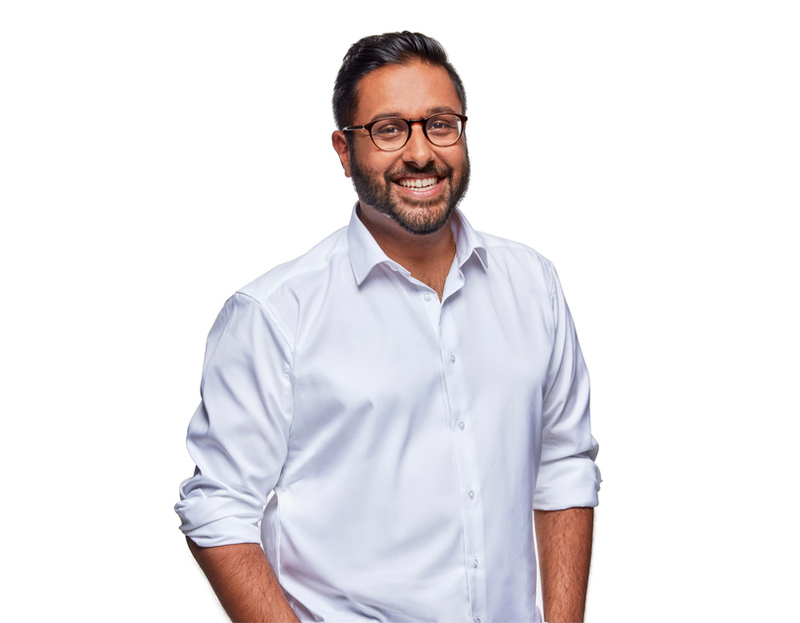 At Blueprint Income, our mission is to modernize retirement income through trust, transparency and by putting the customer first. We work with most major income annuity providers with the highest credit ratings to get you the best available price.